It is common knowledge that men will always settle for jeans that are comfy and fashionable. In fact, I am sure more than 90% of men will tell you their most comfortable pants are jeans and the reason being that jeans are the one set of pants you can depend on at all times. I can even confidently say that; I will show a man who isn’t part of our fast-paced society if you show me a man who has never purchased a pair of comfortable jeans. Another reason why jeans are a well-loved favorite for men is that they can be worn in different ways. For instance, a single pair of jeans pants provides unlimited options for fits and styles with wrinkle-free shirts. Little wonder there are even jeans options for work nowadays, aside from the regular Friday casuals. But it can be quite expensive to buy men’s jeans that are comfortable, fashionable and stylish. Like most quality products on the market, comfortable and top-notch do cost a reasonable sum of money. As a result, some men are forced to settle for pairs of jeans that are of inferior quality. But I have got news for you; there are so many dealers or jeans manufacturers on the market that offer quality jeans at discounted prices as incentives to their customers and buyers. If you are looking for a wider selection of fashion, see our tips for the best fashion stores in the US. 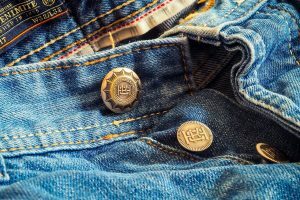 So, if you are looking for inexpensive ways to buy quality jeans, then I suggest you stick with me because I have put together a list of the solution you seek. Below are 5 US shops that are currently offering discounts for top quality jeans that are not only comfortable but also stylish. This is a brand that offers jeans that are as super comfy as they look classy and they are on offer at affordable prices. Therefore, if what you seek is a shop where you can buy top grade jeans without spending a fortune, then American Eagle got you covered. They are currently offering a buy one, get one 50% off for their products, but the offer isn’t going to last beyond the 21st of this month. The brand is also giving out 21 coupons and promo codes for March, and they also offer 20% off any online purchase. Is giving out promo codes and coupons for their jeans. The discounts include a 15% off the next jean you purchase when you sign up their email and a limited discount of buy one and get one 50% off jeans. You asked for it, and Buffalo Jeans has responded excellently. The brand is offering a 50% discount on all their men’s jeans, but the promo will end in two weeks’ time. This brand, which is arguably America’s favorite jeans’ brand, is offering up to a staggering 80% off their new men’s products and the offer runs through until 30th of April. Signing for their emails is the easiest way to get their coupons, and it guarantees you a 20% discount when you make your next purchase. Combine your jeans with some Nike sneakers and we guarantee you that you will look great.